There’s no denying the versatility of the guitar among the many different musical instruments we have nowadays. 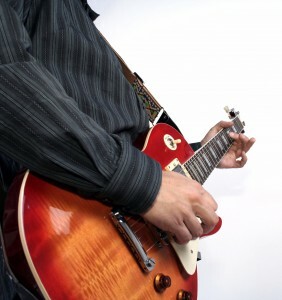 You can easily just mess around with some chords, or play in a very disciplined and organized manner – you can also play complicated jazz chords and whatever you feel like, it’s all up to you. No matter what you’re interested in, the most pleasant experience is actually reaching that goal and the path you’ll walk towards it. Music is not like most other hobbies you can pick up – for example, with sports, if you want to go professional you need to be the cream of the crop, better than the vast majority of people playing that sport out there. With music it’s a different story, and it’s not rare that a simple representation of your thoughts and ideas will be taken just as well as the complex products of someone else’s advanced mind. It’s arguable, but many would agree that the singer-songwriter who saw the most success and recognition during their career is Bob Dylan, who combines guitar sounds with a great lyrical talent. The structure of his music is actually pretty simple – but it’s exactly that simplicity, combined with his great hooks and lyrics that give him the great appeal he enjoys. In the end, technical skills have very little to do with actual musical talent; no matter whether you enjoy simple country music, reggae or blues, you can always get good enough to be enjoyed by many people without having to be a technical wunderkind. You’re just as much of a musician as the ones who pour their life and soul into their music and create complicate, intricate pieces with tons of fine details. That’s not to downplay their work and the incredible amount of effort that goes into it – but the goal is to express yourself through your music and if you get that job done, it shouldn’t really matter how you got there. One thing we can advise you is to avoid trying to follow the success of the best players in the field – try to find your own way and walk it on your own. It will be difficult at first, but those first few steps are what will build the character you need to make it big in this game, so be resilient and you’ll find success following through soon enough, as your skills improve and you’re able to astonish those around you with relative ease.